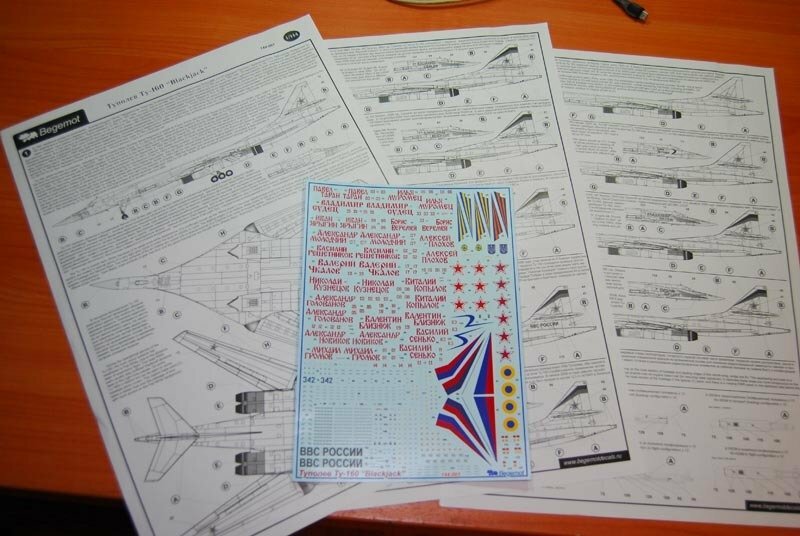 Decal with opportunity make 20 marking variation Tu-160 from different historical stage (USSR, Ukraine, Russia). You can make any of namded Ruissian Air Force Tu-160's, also included new Russian AF insignia and full stencil for one aircraft and 12 Kh-55M (Kh-55SM) missiles. Including two one size decal sheet in one pack and six-pages big size instruction.